Are you sports fans ready for the Mayweather vs McGregor fight? 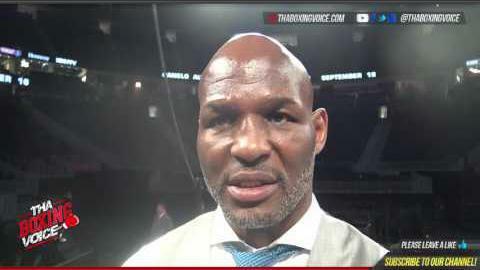 Sports writers were warned against inquiring into boxing great Bernard Hopkins thoughts on the Floyd Mayweather vs. Conor McGregor fight, when during a promotional event for the GGG v.s. Canelo Alvarez bout that will follow in September he refused to take a question on how he thinks the MMA vs. Boxing showdown will fare, serious. "Conor who? People know who... listen, they got a choice. They can go ahead and listen to fake news, which is Floyd Mayweather versus, what's his name again?" Hopkins told Max Kellerman. "You've got a world class legend, icon to some people's mind fighting who? What's his name?" Hopkins would then go on to talk up the September 16 showdown between GGG and Alvarez, which is only natural considering it will be a Golden Boy Promotions card. Hopkins being part of team Golden Boy also had all to do with his reaction to the Mayweather vs. McGregor affair, as Golden Boy head Oscar De La Hoya has been publicly bashing the event as a mockery over the past couple of months.